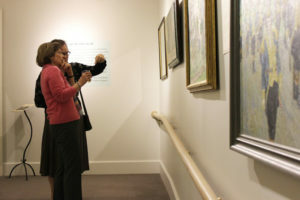 Our adult group tours and programs are engaging, informative, and tailored to your group’s interests. Make the next outing for your club, senior group, or reunion memorable with a personalized visit to the Litchfield Historical Society. 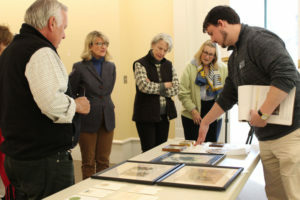 Take a closer look at the objects and stories on display at the Litchfield History Museum with a staff-guided tour of the galleries, including the museum’s newest exhibit:By the Virtue of its Citizens: Educating a New Nation at Sarah Pierce’s Academy. 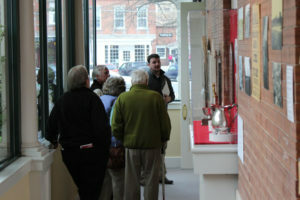 Tours can be tailor to fit the interests and needs of your group. Tours of the Tapping Reeve House and Law School bring to life the experiences of students at America’s first formal school of law. Discover what brought young men to study in Litchfield and how politics, society, and education came together at Tapping Reeve’s Law School. Litchfield’s Historic District is well known for its carefully preserved private homes,welcoming town green, and cheerful commercial district. Step back in time on a staff-led walking tour. Choose a general history of the town or one of our themed tours. Explore beyond the center of Litchfield and discover more of the town’s rich history with a staff-led bus tour of Litchfield. Learn how geography, economics, and culture shaped Litchfield’s boroughs and created communities with unique identities that preserve today.